About > Lambro Industries, Inc.
Lambro Industries, Inc. provides venting solutions for residential and commercial customers. Based in Amityville, New York with a 50,000 sq. ft. facility, Lambro offers venting and duct products, such as laminated, semi-rigid, vinyl and insulated ducts; accessories, rigid ductwork, and rigid elbows and pipes; and wall, roof and eave vents for HVAC components, dryer, kitchen and bathroom venting. The company also provides washing machine trays. It sells its products through a network of dealers in the United States. The company was founded in 1967 by Mr. Edwin L. Berger in partnership with his Brother as a distributor selling to HVAC, Electrical Wholesalers and Lumber Yard industries. 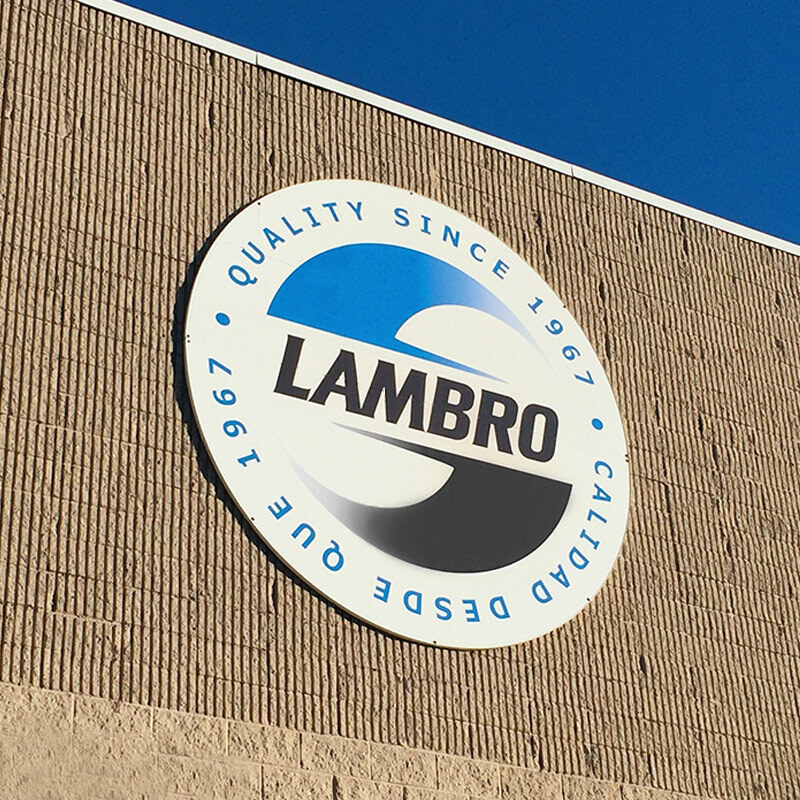 In the mid-1970’s, Lambro expanded its operations into manufacturing and assembling metal and plastic products. Mr. Berger assumed total ownership of Lambro Industries in 1986. In the early 1990’s Mr. Berger opened a full service manufacturing facility, Lambro-West, Inc. in California and subsequently in 1993 moved the operation to Sparks, Nevada. Lambro-West, Inc. is incorporated in Nevada. This 20,000 sq. ft. facility currently has manufacturing capability and is a distribution facility serving the sourcing requirements of the Company’s West Coast customers. Currently the company employees over 50 people in its New York and Nevada facilities. Lambro is proud to be a ‘Made in USA’ Company with ALL its operations i.e. procurement of raw materials, assembly, packaging and shipping within the continental United States.